History had never seen such a government designed for righteous and egalitarian purposes. Despots and strong men ruled the world for millennia. The U.S. shattered that status quo in 1776 and has since led the world in pursuit of freedom and justice. The two pillars of a free society to which our children pledge their loyalty are teetering. Liberty and justice are in free fall. Yes, some short term trends are hopeful. The Trump Administration has revived the American economy (two straight quarters of 4 percent-plus growth), decreased the power of the bureaucracy through deregulation, and strengthened our legal system by appointing Constitutionalist judges (including the eminently qualified Brett Kavanaugh) to various courts. Those trends must be broadened by voting for good men and women in the 2018 mid-terms. Personal liberty, starting with free speech. Justice, which must be blind in treating all people equally. Here’s the quick history of those rare national qualities. Prior to the signing of the Magna Carta, the evolving of British common law, and the birth of the United States of America, nearly all citizens of the world lived under strong men and tyrants. Most of the world still do. The creation of the U.S.A. established the first citizen-run government through representatives pursuing freedom and justice for every individual. No government in history had ever enshrined those pursuits as core values of government (except ancient Israel). We’ve never perfectly practiced them in our 242 year history (human beings are fallen). But at least the commitment was sincere. No longer. 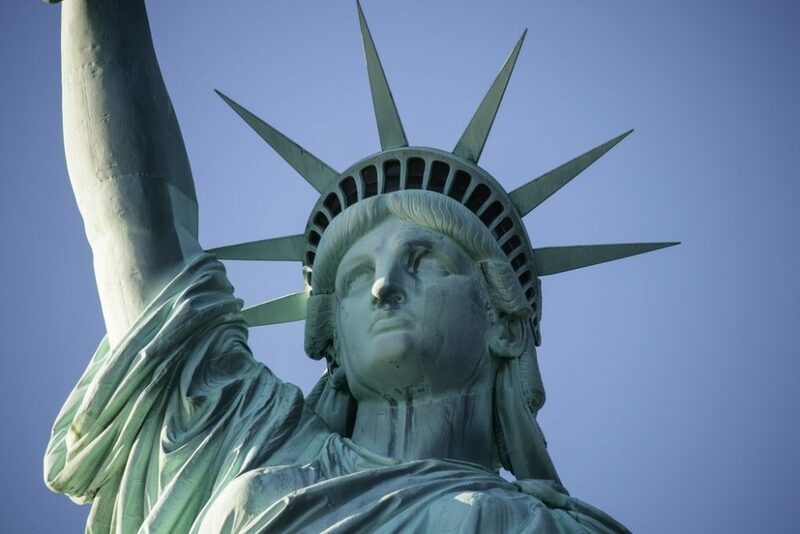 Those who want to change this nation–the Left, secular progressives, socialists and anarchists–have been chipping away at liberty and justice for decades. Shouting down and disrupting Christian and conservative speakers on college campuses, denying their rights to share ideas. Calling for boycotts of faith-based businesses such as Chick Fil-A and recently In N Out Burgers. Encouraging censorship of biblical/conservative voices on the Internet such as Google and Facebook. What we’re learned from this demagoguery is that secularists (atheists) do not care about liberty. They want power and control. America–be instructed. A renewed biblical heritage is your only hope for freedom (Leviticus 25:10 and John 8:32). And not just “hate politics.” Try words, gender, and every social issue where progressives demand uniform thought (theirs). Just as dangerous as the loss of freedom is the current perversion of justice that’s crippling our national government. The Clinton campaign, Democratic Party, and complicit secular media are the only ones who colluded with Russia in producing the fake Trump dossier. The Obama administration illegally spied on Trump associates by using the dossier dishonestly to obtain FISA warrants. Top FBI officials promoted the Hillary campaign, tried to derail Donald Trump, and now seek to oust him from office. The Muellar investigation was launched under bogus circumstances and has so far prosecuted only Republicans in a total travesty of justice. Where’s King Solomon when we need him? Saddest of all is that a large portion of American citizens no longer understand freedom or care about justice. They’re too busy entertaining themselves while the music plays (and the ship is sinking). If the “philosophy of education in one generation is the philosophy of government in the next “(Abraham Lincoln), then we’re in deep trouble. We need a great awakening to our founding virtues in our homes, schools, and every branch of the deep state of the United States of America.